Mechelen, Belgium – Kemira Chemicals (UK) Ltd. (Kemira), part of the Kemira Oyj chemical industry group, is a producer of advanced chemicals for industrial applications. At its production site in Ellesmere Port, UK, Kemira produces a variety of coagulants for the treatment of waste water. As with all Kemira products, only the highest quality can be accepted, and this is reflected by the raw materials and processing equipment used in production. 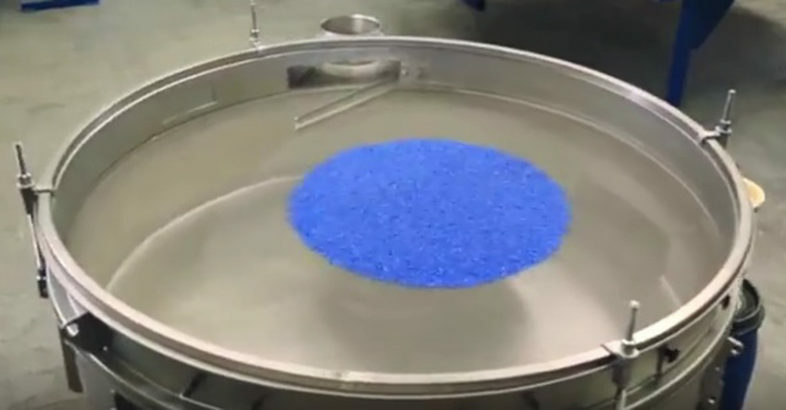 When seeking a sieving solution for screening incoming bulk powders, Kemira contacted Russell Finex – a global manufacturer of chemical sieving and filtration equipment. Utica (NY), United States – A new Screen Classifying Cutter with 1830 mm infeed and 457 mm overall diameter rotor manufactured by Munson Machinery reduces fibreglass, gypsum, metal scrap and other large abrasive materials at high rates.